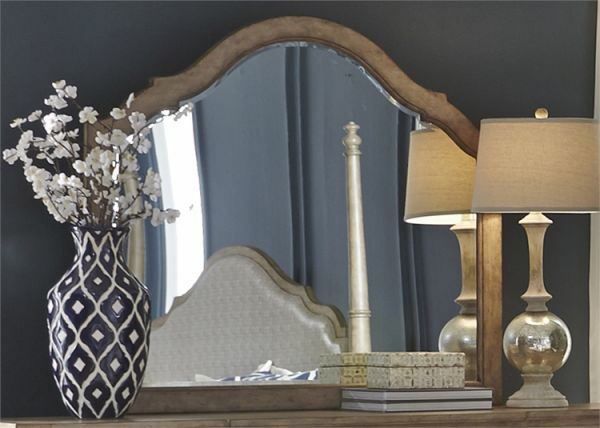 The Simply Elegant Mirror adds the beautiful finishing touch to Simply Elegant Dresser. Its arched top is the perfect complement to enhance this bedroom set. Wire brushed heathered taupe finish.